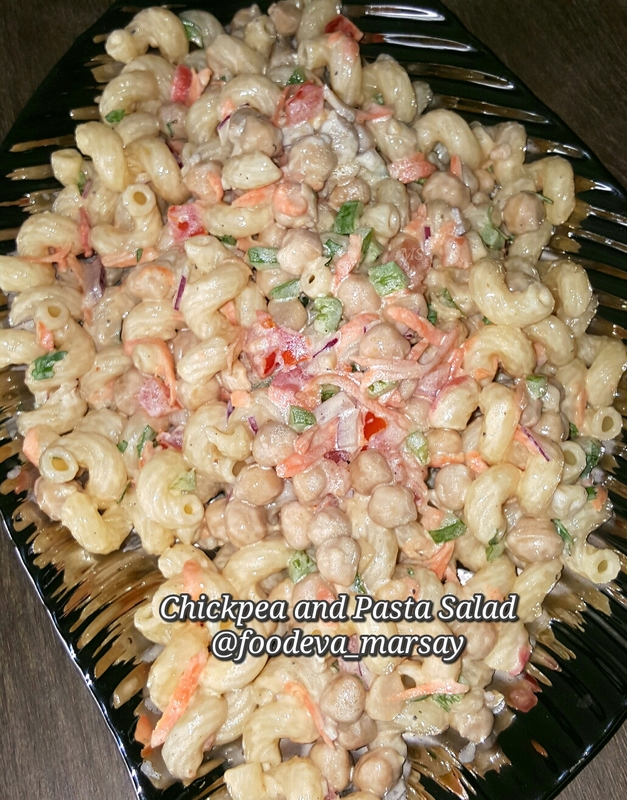 A Simple and Easy Salad to enjoy as a Light Meal OR as Side Dish, This Chickpea and Pasta Salad will beckon at you for another spoonful?? Sometimes I forget I have a recipe to share on my blog, until I scan my photo albums to find a certain pic just screaming at me to be shared, like this one did. Now as I have mentioned before, we South Africans love a good Braai (Barbecue). And this is one salad I do sometimes enjoy. It is not specific for a Braai, and can be enjoyed at anytime of year and/or occasion, And makes for a perfect packed lunch or picnic salad too. Do give this one a try, I look forward to your feedback always. A simple and easy to prepare dish, that works well as a Light Meal OR as a Side Dish. ~Use smaller types of Pasta Varieties for salads. ~Avocado and Olives may also be added. ~ This salad works perfectly without Chickpeas as well, with just pasta. ~ Sliced cooked chicken may also be added. ~ Top this salad onto a bed of Salad greens, it makes for a wonderfully rounded meal. 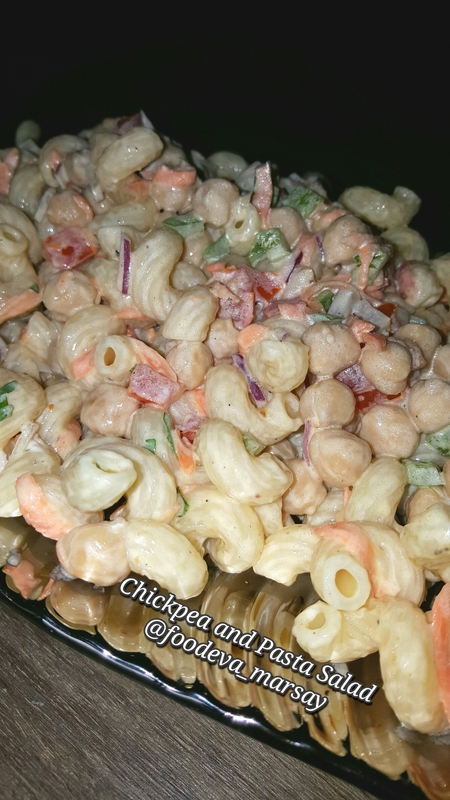 Chickpea and pasta salad, with onion and carrots. Chickpea and Pasta salad, without the onions and carrots.